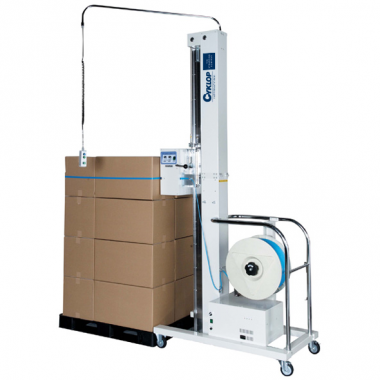 The semi-automatic strapping machine M-Pac HE is used for manual, horizontal strapping of pallets. The M-Pac HE is useful in many industries and is distinguished by reliability, easy operation and low maintenance. For low volumes per day.